Obituary for Vera M. (Balcom) Smith | Kroeze-Wolffis Funeral Home, Inc.
Mrs. Vera M. Smith, age 77 years of Hesperia, passed away on Wednesday morning, November 21, 2018 at Transitional Health Services of Fremont. She was born on May 26, 1941 in Hesperia, Michigan to Earl & Ruth (Gurney) Balcom. 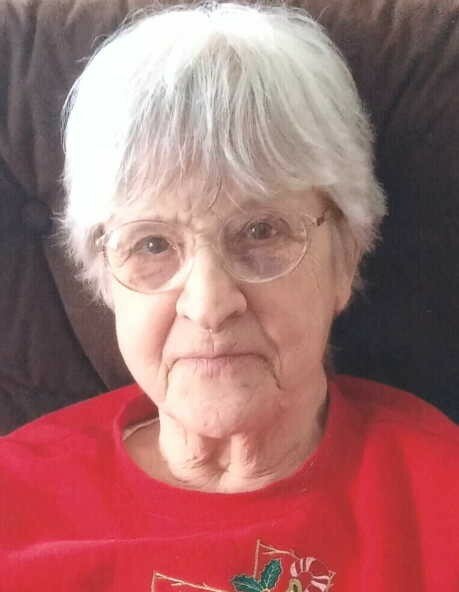 She had been employed by the Newaygo Medical Care Facility in Fremont for many years until her retirement, and she enjoyed her flowers and walking. On November 29, 1963 she married James Smith and he preceded her in death on September 26, 1973. She was also preceded in death by her daughter-in-law, Lee Smith; and by her brothers: Earl Balcom, Jr., Justus Balcom, Gordon Balcom, Ray Balcom, OraDon Balcom, & William "Bob" Balcom. Survivors include 2 children: Scott Smith of Fremont, Wendy (Chris) Wilbur of Hesperia; 5 grandchildren: Lindy Snyder, CJ Wilbur, Nathan, Dylan, & Jared Smith; 6 great grandchildren; 1 brother, Arthur Balcom; 2 sisters, Laura Balcom & Alice VanHemert; and sisters-n-law: Lucille Balcom, Fern Balcom, & Sue Balcom. The Funeral Service will be held at 11:00 AM on Tuesday, November 27, 2018 at the Kroeze-Wolffis Funeral Home with Pastor Paul Hane officiating. Visitation will be from 6-8 PM on Monday at the funeral home. Interment will be at Maple Grove Cemetery in Fremont. Suggested Memorial: St. Jude Children's Research Hospital. You can sign the online guest book at www.kroeze-wolffis.com. Arrangements are by Kroeze-Wolffis Funeral Home, Inc. of Fremont.